Well winter has finally arrived here in Wales. We had some wet snow at the weekend and now we’re being chilled by an icy wind blowing in from Siberia and just as we’re onto our last row of wood on the log pile. 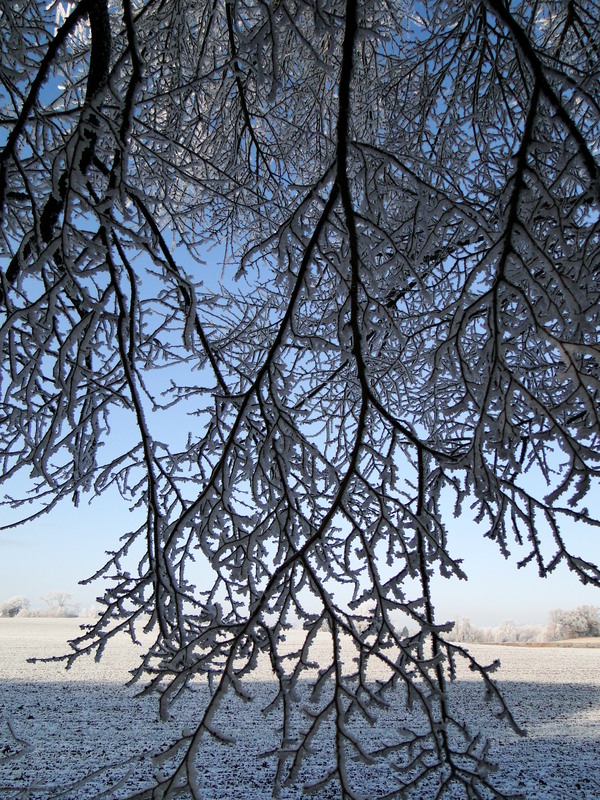 Will the cold spell last longer than our wood supply? Glimpses of sunshine yesterday tempted me out for a walk up to the allotment. It was so cold though I abandoned my wellies in favour of my toasty snow boots. Once at the plot I stood there trying to imagine it in the months to come, blossoming and productive. I do have a fairly active imagination but the cold was so penetrating that it was difficult to conjure up images of swelling peas, scented flowers and juicy strawberries. I was just about to leave when I spotted some flowers. 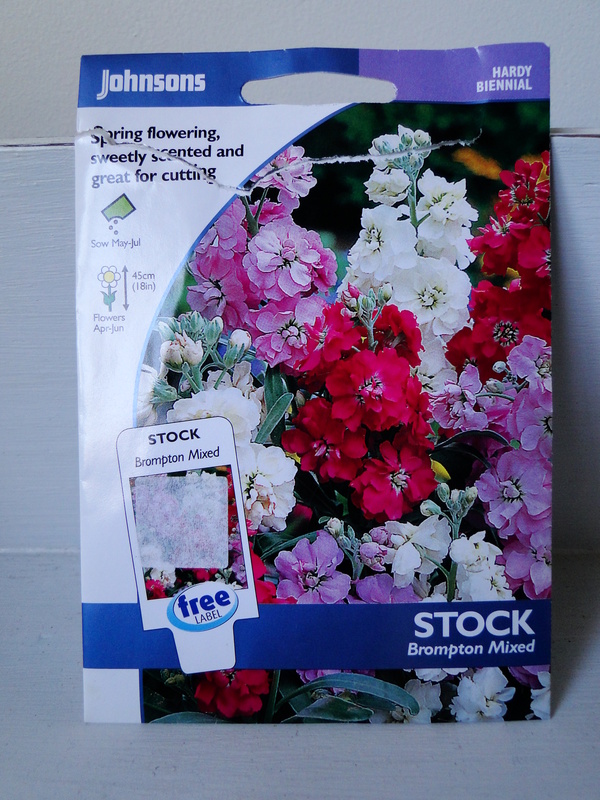 Back in the summer I had sown some biennial Stocks, the Brompton Mixed variety. With the mild autumn the plants grew well and I planted them at the allotment ready for picking flowers in the spring but by the end of October they had started to flower. The flowers, however didn’t resemble those on the packet. They smelt amazing though so I wasn’t too bothered. I was able to pick a couple of stems every week right up until Christmas which felt strange but then it was very mild. 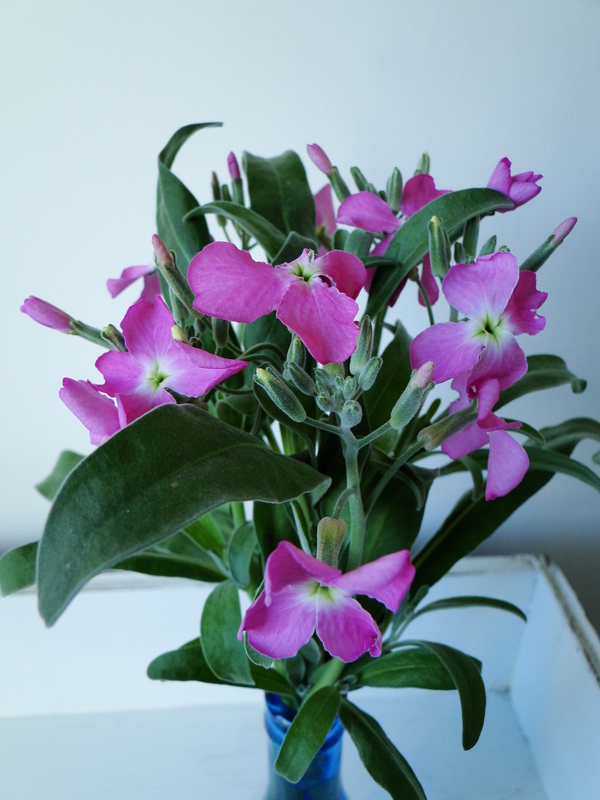 So I was completely surprised yesterday to see the plants still flowering despite recent hard frosts. The plants are covered in flower buds as well so as soon as the weather becomes milder I should have quite a good supply. I am intrigued though as to what they are. Does anyone know what type of stock they might be? 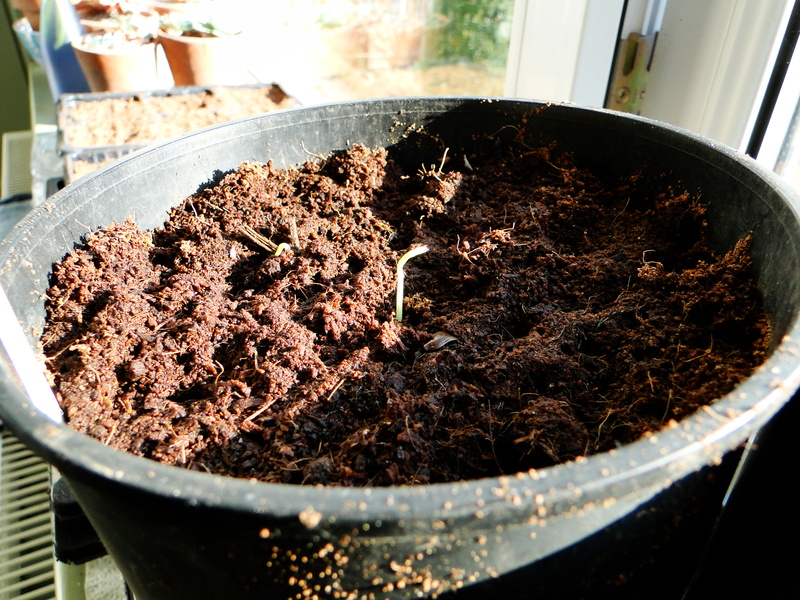 The Sweetpeas I sowed last week are starting to germinate which is very exciting. Once they have all germinated they can go into a coldframe. I prefer to grow my seedlings quite hard. I don’t have the space to mollycoddle them anyway but I want good strong plants and too much warmth will only encourage soft, sappy growth. There was a time when I got excited by shopping trips for something sparkly for a night out but now a morning at the garden centre is just as good. 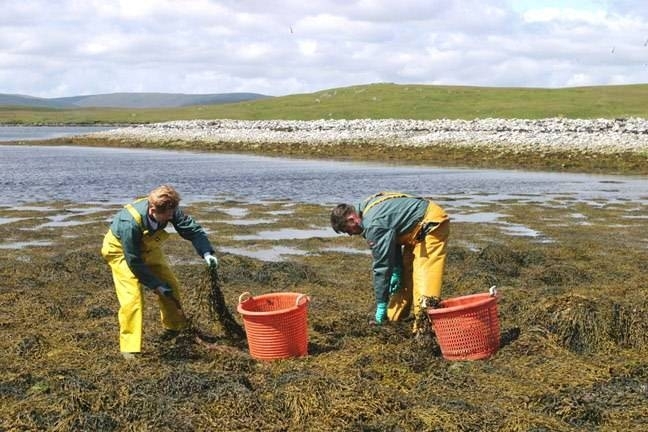 On Saturday we called in to see if they had any shallots yet. They did so we picked up a packet and then I remembered I wanted a pressure sprayer so I could easily douse my plants with seaweed or tomato feed. I spent last summer using a tiny hand sprayer that I bought for £1 in Ikea about 12 years ago. It wasn’t the best tool for the job, ok for the odd house-plant, not really suitable for an allotment. It took forever and made my hand hurt, so I thought I should spend some Christmas money on something that would make my life that bit easier this year. Wellyman went off in search of a sprayer whilst I got distracted by seeds (I really don’t need any more seeds!!!). 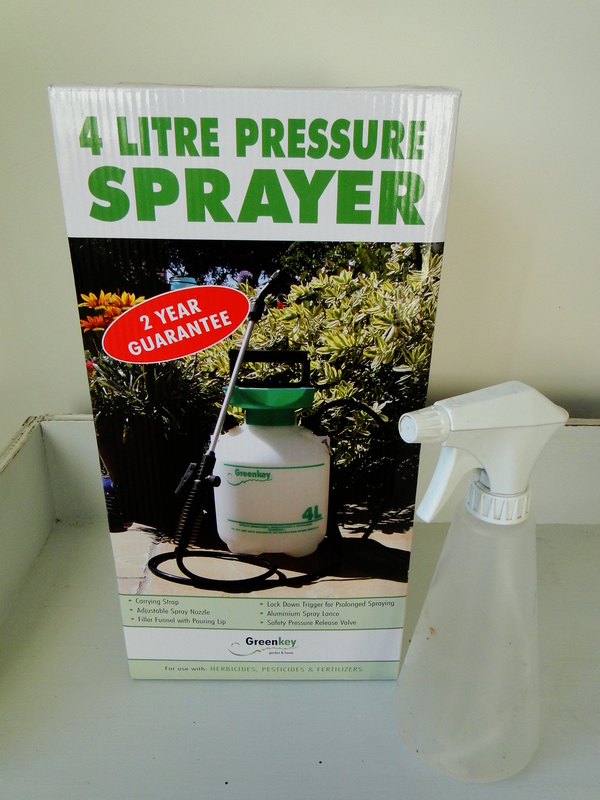 He came back triumphant with a 4 litre pressure sprayer which should be the perfect size. The only problem with gardens and allotments is that they do generate quite an amount of stuff to store. Of course I can’t actually get into my shed ( see my previous post ‘I need a substantially bigger shed‘) which is bursting at the seams at the moment so my downstairs loo is currently acting as shed overflow with an increasing stash of garden paraphenalia building up, including my organic fertiliser order, weed membrane kindly donated by a friend and now my pressure sprayer.